The Holiday Season is the perfect time to reflect on your blessings and share a little with those who are in need of a helping hand. Hillermann’s has placed three decorated collection bins in their entrance for the holiday season to make it easy for you share in your blessings. In addition, we will have Santa at the Garden Center on two Saturdays for Children and Pets to visit with for a free will donation. See the information below and lend a helping hand. Santa Run: We will be joining efforts with the VFW Post 2661 and Elks Lodge 1559 to bring in donations for “Santa Run.” Donated items will be distributed to VFW and Elks lodges, Missouri Veterans Homes, Boys and Girls Towns of Missouri, and area Hospitals. Items such as coloring books, crayons, games, stuffed animals, toys, candy canes, sporting equipment, etc are suggested for children. Items such as coffee, reading books, sweat clothes, lap blankets, hand-held games, crafts, etc are suggested for adults. The Pregnancy Assistance Center: Bring in donations of toys, clothes, books, games, mittens, gloves, scarves, or hats to be donated to the Pregnancy Assistance Center. The Pregnancy Assistance Center is a great local organization that helps families with children who need a helping hand. Your donation will make a child’s Christmas brighter this year. Franklin County Humane Society: Donations of pet food, toys, treats, blankets and more are needed for pets that will not have a warm home or a family to celebrate Christmas with. Franklin County Humane Society is a great organization that gives many orphaned pets a chance to find a loving home. They also benefit the county by reducing the number of stray animals. 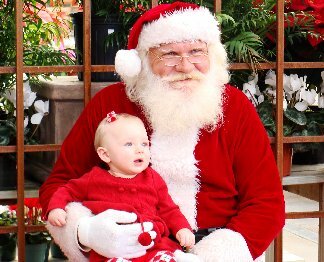 Pictures with Santa – Santa will be at Hillermann’s Garden Center twice (December 1 and December 8 from 1:00 to 3:00 PM) for people to bring their kids and pets (no reptiles please) to visit with and tell him their Christmas wishes. Picture prints by YHTI Internet are available for a free will donation to Loving Hearts Outreach. Loving hearts is a great local organization that helps people and families in need or that have had a crisis situation. They provide food for many families in need. Remember to be thankful for all you have. 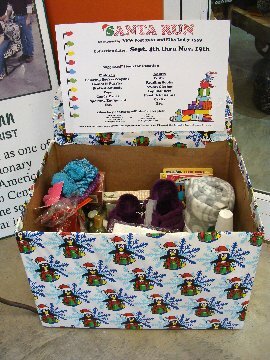 Pick up a few extra items while you are shopping and add them to the decorated giving bins at Hillermann’s. Or, stop by while Santa is visiting with the children and pets and leave a donation to benefit Loving Hearts. Together we can help make this community a great place to live!